District Retreat is a yearly event for all of our licensed workers in the Central Canadian District and their families. The retreat price includes your meals, retreat activities and accommodations (if you plan to stay with us). Planning to share a room? How economical of you! We just need to know who you are staying with. Want to arrive early or stay longer? Perfect - we negotiated a discounted price for your room... for 3 days before & after retreat. So go ahead... take some time! Extra nights can be booked directly with Horseshoe Resort, just let Lisa know so she can pass along your name to the resort. Want to bring your kids? We can help with that too. Programming will be made available for kiddos during retreat sessions. If you will be bringing your children to retreat, you will have to add them on to your ticket when you are registering. The ticket price for children will cover the cost of food & programming. Want more information on group activities & how to register? Visit Eventbrite or click below. Download Horseshoe Resort Map here. We’re giving away an iPad and here’s how to win! AND send us a family picture or video. That’s it! 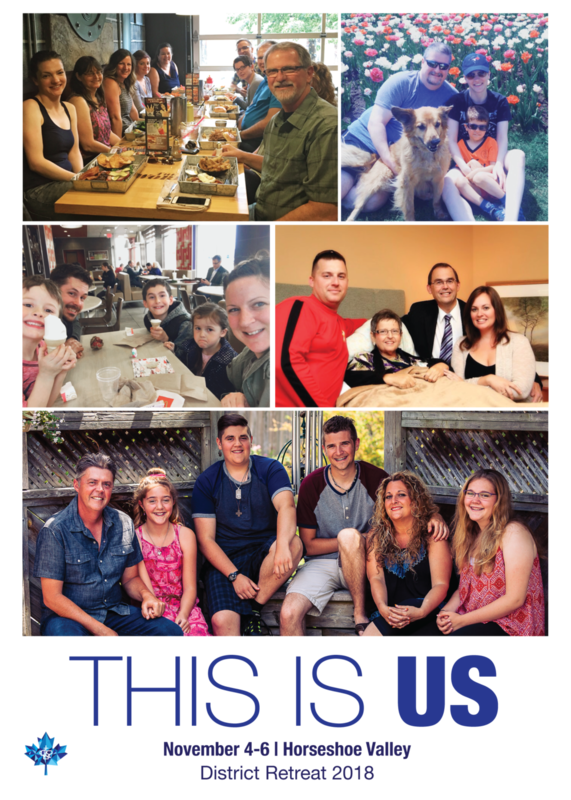 Click here to read more on the “THIS IS US” retreat theme for 2018.